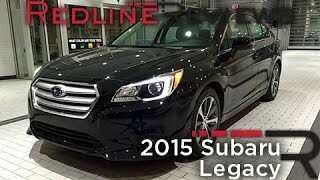 At 2014 Chicago Auto Show, company finally unveiled its production model Subaru Legacy 2015 of 2013 Legacy Subaru Concept. The coupe like sedan features company’s future styling vision with its sleek look. Not only this, but there is a surprise beneath its hood coming through the most appreciated engine with throbbing power and fuel efficiency. 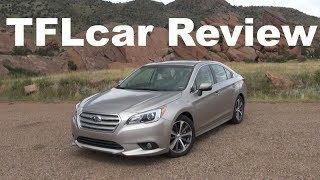 Let us check Subaru Legacy 2015 review to learn more. Interior of Subaru Legacy 2015 offers you much more of space in compared to its predecessor. The cabin also features new designs giving treat to your eyes and driving experience. The sequence begins with a 3.5 inch LCD screen sitting between the spec like gauges (with inculcated lens though) behind the three spoke steering wheel. The LCD screen mentioned with the help of EyeSight system expands to five inches giving a better view. With horizontal theme running across Subaru Legacy 2015, you’ll feel a wider model giving you soft-touch surfaces with premium materials adding to luxury. 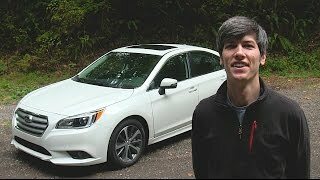 Talking about technological advancement inside Subaru Legacy 2015 you have a new 6.2 inch infotainment system supporting rear view camera, CD player, Bluetooth connectivity with audio streaming and USB and AUX in-port. Exterior of Subaru Legacy 2015 is coupe like portraying a sportier look. Starting with the front fascia you have funky grille sitting between the predecessor-borrowed headlights with little more traditional touch. Beneath is bumper with its apron holding a cleaner look and large air intake flanking in between and fog lamps on each side. Moving towards the rear you’ll find elegant taillights while tailpipes are wrapped decently in the rear bumper. 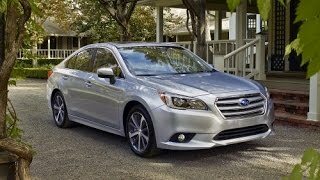 In all the entire exterior of Subaru Legacy 2015 is clean, luxurious and with improvement in aerodynamic efficiency. The Subaru Legacy 2015 hides beneath its hood the powerful 2.5 Liter four-cylinder Boxer engine delivering total output of 175 hp and peak torque of 236 nm. 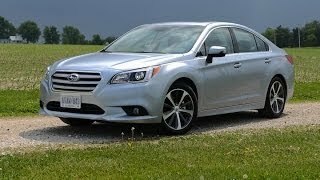 For the all new Subaru Legacy 2015 company has bumped the output by 2 hp while the torque remains same. Not only has this had the fuel efficiency standard also got better with Combined 30 mpg.